In less than 3 weeks, I’ll be reading from The Living Library, a work in progress. 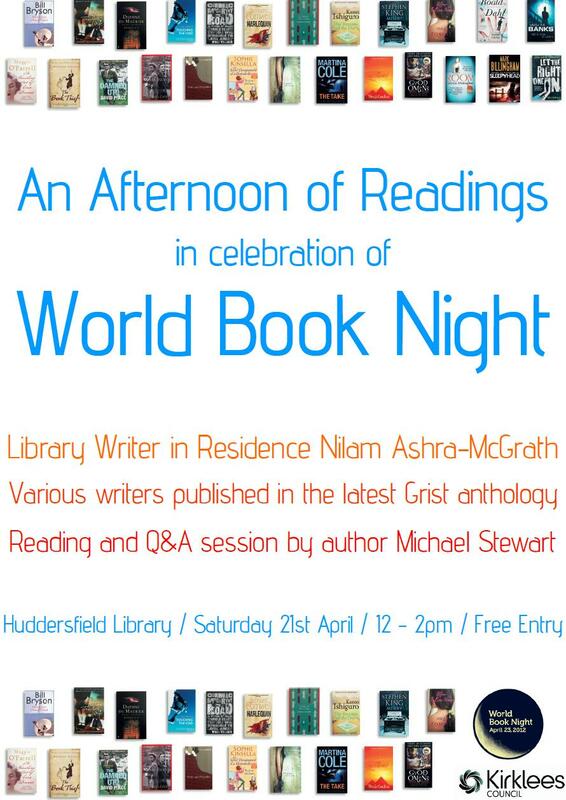 The fabulous bods at Huddersfield Library are busy promoting the event with this lovely poster. And guess who’s going to be there……Michael Stewart, author of the award-winning King Crow, also reading from his book. I’ll be giving away books from the World Book Night list too. Hope to see you there.